"Celia was one of a kind," said one of thousands of fans who attended a moving tribute to the late "Queen of Salsa." BRONX, New York — Iris Alcántara is pressing her hands on a glass case, mesmerized by the glistening crystal necklace and other iconic items that belonged to the "Queen of Salsa," the late Celia Cruz. Alcántara stares at the necklace for a while, then begins to cry. Alcántara, who is from the Dominican Republic, was one of several thousand people who made their way to Woodlawn Cemetery in the Bronx for a weekend tribute to Cruz, who died on July 16, 2003 of brain cancer. The world-known Afro-Cuban singer and multiple Grammy recipient has a U.S. postal stamp in her honor and a star on the Hollywood Walk of Fame. In 1994, President Bill Clinton awarded her with the National Medal of the Arts. Fifteen years after her death, her former manager, Omer Pardillo brought Cruz’s energy to her final resting place at Woodlawn Cemetery, in the Bronx, for a four-day tribute that included an exhibit of her items and a concert. The events were a way to celebrate a Latina icon during Hispanic Heritage Month, which is celebrated from Sept. 15 to Oct. 15. “I told them an exhibit could be a perfect way to have Celia and the community gather and come see her things. People love Celia’s fashion and the way she dressed,” said Pardillo, referring to Cruz's unique style. Cruz, who started singing in Cuba in the 1950s with the preeminent band, Sonora Matancera, rose to international fame with her deep and rich voice, her catchy Afro-Latino rhythms and her trademark expression, "Azúcar!" which means sugar. Cruz had a complicated relationship with her home country, Cuba. She left the island in 1960 shortly after Fidel Castro rose to power and was not allowed back two years later when her mother died. Many of her songs touch on her love of Cuba and life as an immigrant. David Ison, Woodlawn Cemetery's executive director, said that if Cruz wasn’t buried in New York, then she might have been buried in Cuba. She was also a trailblazer as a black Latina, one of the first to achieve international fame despite the color of her skin. Ison says Cruz’s gravesite is one of the most visited in the cemetery and fans come out to pay their tribute to her year-round. Roberto Perez, who attended her funeral service 15 years ago, considers Cruz a pioneer, saying her music transcended borders. “She would support composers from different ethnicities, from Puerto Rico to Venezuela, to Mexico and Panama, so as time went by she became an ambassador to Latin America,” said Perez. 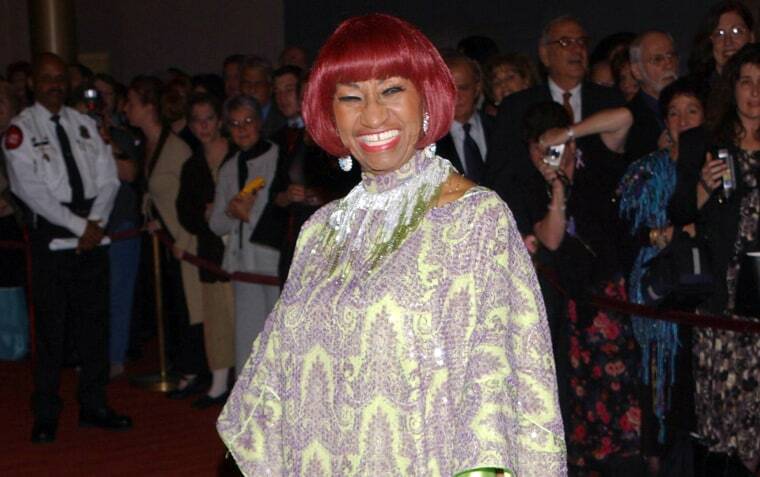 Cruz was a fashion icon who loved bright colors when it came to her dresses, wigs and accessories. Pardillo says he thinks of Cruz every day; but one particular moment stands out to him. It was when Cruz was getting radiation treatment for her cancer at a New York City hospital and became friends with two young girls who were also undergoing radiation. “Celia said, ‘Now, let’s get in my car. I’m going to go to your block and I’m going to tell everyone that you girls are my friends,’” Pardillo recalled with affection. Over two thousand people gathered on Sunday for a concert at the cemetery; the band featured timbale player and percussionist Nicky Marrero, who was one of the original members of the acclaimed salsa group Fania All-Stars, which helped catapult Cruz to international fame. People were dancing to songs that have transcended generations of music lovers. Thirty minutes into the concert, Ana Pujols Torres Ferrer sait it was time to leave and take her memories with her. She grew up with Cruz’s music around her in the 50s and it was the music her and her husband enjoyed. At the same time, Pardillo hoped that the young people who attended the tribute with their families would keep Cruz' s legacy and music alive for other generations to come.